Two more infantry battalions have completed their deployments to Afghanistan and were replaced in theater with fresh troops from Marine Corps Base Hawaii and Calif., Marine officials said. Second Battalion, 1st Marines, out of Pendleton, replaced 3rd Battalion, 1st Marines. 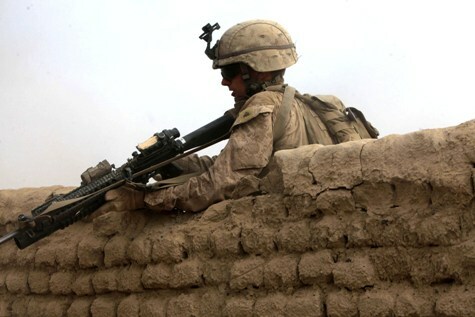 Marines with 2/1 will be based in Garmser, Afghanistan, a district that made strides in security during 3/1’s deployment. Similarly, Hawaii’s 2nd Battalion, 3rd Marines, will replace its sister battalion 3/3 in Nawa district. It could be somewhat of a transitional deployment, considering Marines there have begun shifting control of some bases to Afghan forces. The district is considered perhaps the Corps’ greatest success story in Helmand province to date. On a related note, a battalion from the eastern European nation of Georgia also has been replaced. Georgia’s 32nd Battalion replaced the 31st Battalion. It will fall under Regimental Combat Team 2, and be deployed in northern Helmand under Marine command.